People dreadfully wicked and bad. In Bedlam (Mark Robson; 1946), inmates at an insane asylum are made to perform for the callous upper-class. 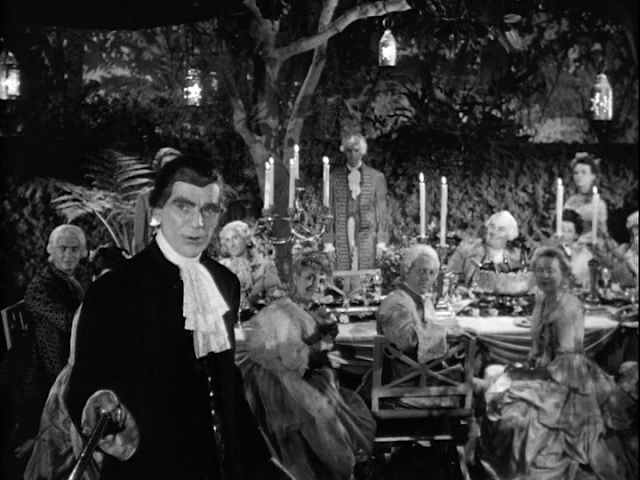 Boris Karloff stars as George Sims, master of the asylum. 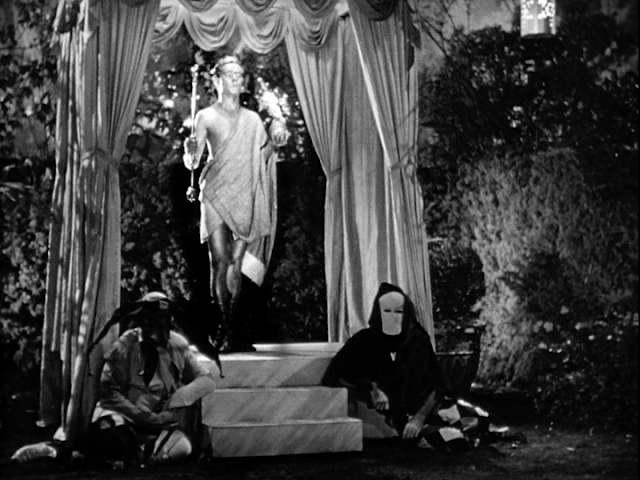 Glenn Vernon plays the Gilded Boy (top). Bedlam was the last in the series of stylish B horror films produced by Val Lewton for RKO.